We are a team of highly motivated people who love product and appreciate innovation. We strive to create success from the initial product offering to the final on-air presentation. We are anxious to speak with you about your brand or product opportunity. T.O. Epps & Associates, inc. specializes in bringing creative and unique products to QVC within multiple categories, with a focus on creating success from the initial product offering to the final on-air presentation. We are dedicated to providing the best possible representation to our vendors, our products, and for QVC. Our Mission is to serve our customer, our vendors, and each other while discovering, developing, and delivering a continuous stream of innovative brands that delight the consumer. 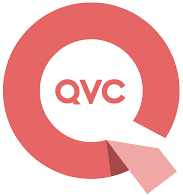 Since we began our business with QVC in 1987, it has been our sole goal to develop a business strategy that would provide a win/win for both QVC and the manufacturers we represent. ©2019 QVC, Inc., QVC, the Q and Q Ribbon Logo, are registered service marks of ER Marks, Inc. and QVC, Inc.